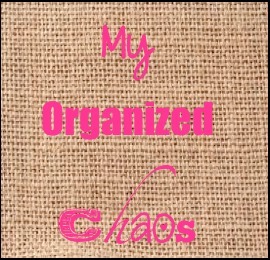 I must confess that I am a bit uptight, obsessed, have OCD tendencies, particular when it comes to organizing certain things in my home and daily life. Today is a small dare and as I type (it has been a couple of hours) the topic is not really even nagging at me like I though it would. However, the first 5-10 minutes after my decision, I was going bonkers-but look I have survived! So back to the bottles... Hmmm... Whats the big deal I ask myself? Who looks in the shower? Would somebody actually come over (randomly) decide to go into the bathroom, request to look in the shower and judge me on how my products look in the shower? Most likely NOT! So I closed the curtain. Oops.. Could not let go on that one ;] After closing, I decided that the only other person whom sees the inside of that shower already owns the principals I am trying to attain. Normally, I would even turn her bottles around, close her lids that were left open and tidy up all of mine as well. Today I left it all. Lids open, bottles every which way, not near their corresponding mate, and in complete disarray. As I said before, I have survived since my morning shower. It is 6 hours later and all I think is huh! My sister in-law shared with me once that she would be fine if her home resembled that of a model home everyday! I could not agree more feeling like that is a dream come true. But in reality for me/us/our home, that would only take place, right after a cleaning, before a holiday, without kids, dogs and a Mr. And the latter 3 is not ever going to happen! So today, mine will simply be our home; which is a warm, loving environment, a roof over our heads that we can afford, food in our fridge and cupboards, simply a place that is OURS. This place is filled with 3-loving humans and 3-loving Chihuahua's that could care less how my dang bottles in the shower are organized. Letting go of silly nuances for the day.. Maybe longer?! Do you encounter similar situations? Or have hangups on small things? I'd love to hear as usual!! !